It was a rainy day when we hopped on the train to Shibuya. And the moment we got off the train the heavens opened above us, but thankfully not for long! 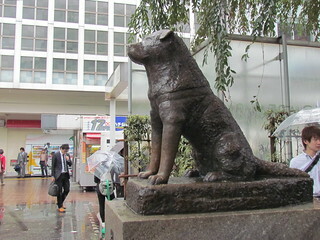 Just outside Shibuya station is a statue of Hachiko, the loyal dog. I liked him. 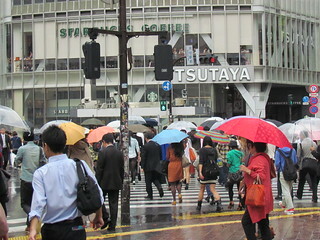 Just past Hachiko is the famous Shibuya crossing, which was awash with a sea of umbrellas due to the weather. We spent some time poking around and looking in the super cute department store Tokyu Hands, where I bought an awesome battery operated chasey toy for the cats. We had lunch at the amazing Vegan Healing cafe, which I now read is closed. Sadness! I loved this place. I had the felafel plate, which was amazing. 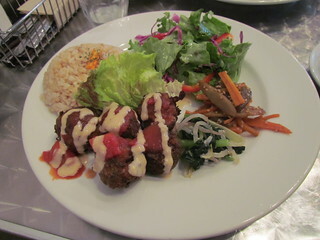 Delicious felafel balls with sesame and tomato sauces, salad with a sweet dressing and pickles. 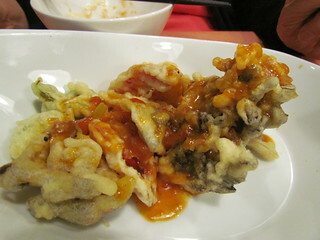 I love Japanese pickles! 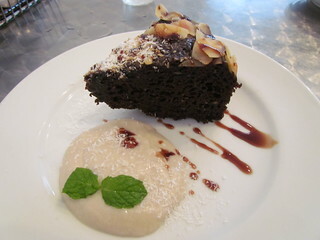 I tried a piece of chocolate and coconut cake for dessert, which was lovely. 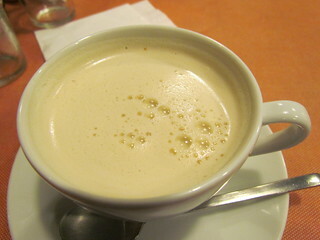 Also some chai, which had a funny consistency. After lunch we walked around and found a lovely little ceramics museum - I love ceramics. 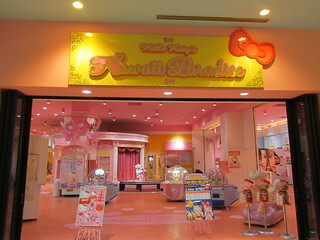 And poked around some shops a bit more, there is so much fun stuff to see in Japan. I also visited Lush and bought some hand cream, I still have the pot with its Japanese writing on it. I will not be exchanging that for a free face mask! 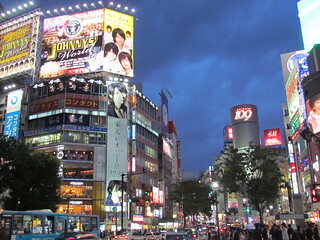 Shibuya at night was all lit up! 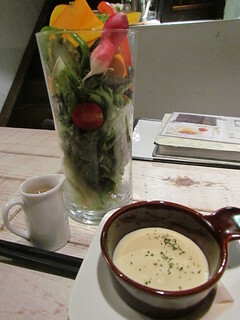 I picked out dinner restaurant, a place called Vege Cafe, after Chelsea's rave review. She even very nicely emailed me a map! But it downloaded a bit funny on my phone and I ended up getting us really lost, but eventually I worked out the issue with the map and we made it there! While not entirely vegan, there are a lot of vegan options. 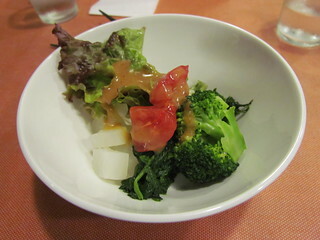 It also has a salad bar, and we were starving, so we started with some salad while waiting for the rest of our food to come out. 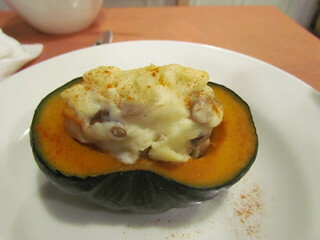 We had: Chips with pumpkin dip and salsa, Tempura with tomato chili sauce, bread, Stuffed pumpkin (hold the cheese) and Braised shimeji mushrooms in foil. Finished off with some chai. It was a pretty delicious meal! Afterwards we headed back to the hotel for the hotel. 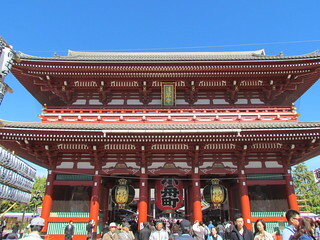 The next morning we took the subway to Asakusa to visit the famous Asakusa Shrine and Sensoji Temple. It was a beautiful day, so was absolutely packed! There is a street heading up to the shrine that is lines with all sort of little stalls, and it is quite a pretty, festive atmosphere. 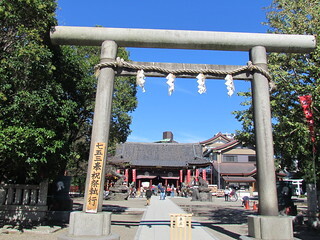 After visiting here we stopped by the nearby Edo-Shitamachi Tradition Museum, which is well worth a look in if you are interested in traditional crafts. Also don't forget to keep a look out for the famous Golden Poo on top of a building down by the river. You'll know it when you see it! 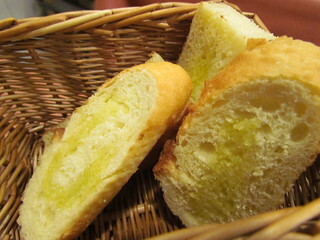 I couldn't visit Tokyo without visiting Kappabashi Dogugai, or Kitchen Street. This street is packed full of all sorts of kitchenwares. From baking shops to cutlery, bowls, furniture, kettles, bulk food... everything you could ever think of! 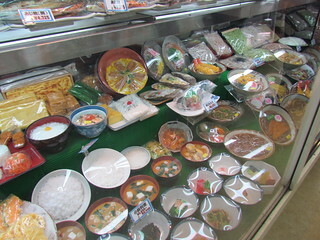 There are also many shops selling plastic food for display. I considered getting a little something, but it is so pricey! There is a whole different district a bit out of Tokyo where plastic food is made! 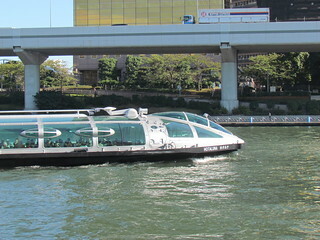 We caught the Himiko Water Bus from Asakusa to Odaiba. The water bus, as you can see, if largely enclosed in glass so you get great views. Thankfully it does not have glass floors! Today was going to be light on the food options for me, so I had packed a whole stack of snack bars! Odaiba is an artifical island. Apparently it used to be used for defense but now it has all sorts of huge shopping centres and theme park type things there. 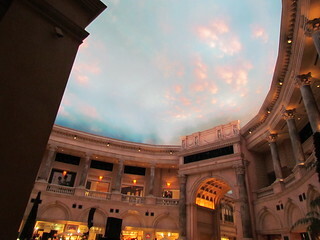 We wandered into Venus Fort, which as you can see from the top picture was not your average shopping centre. 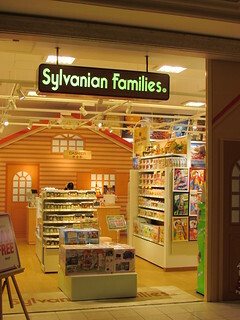 It had a lot of clothes shops and what not there, but it also had awesome shops like Sylvanian Families and also a Kawaii Paradise arcade downstairs. We also wandered into the Toyota exhibition hall which had some pretty cool prototypes and interactive games. 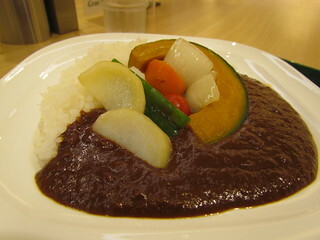 After that it was a train ride across the famous Rainbow Bridge, then we transferred onto the Subway to go to Ginza. 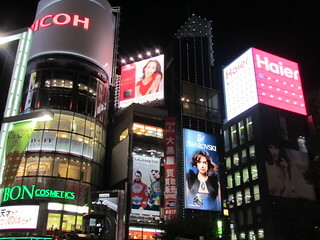 Ginza also lights up at night. It is strange how advertising ends up kind of looking really pretty! There are also several gorgeous stationary stores in Ginza. For dinner we went to Ain Soph, a vegan restaurant. I ordered the Everything Course, because why wouldn't you? 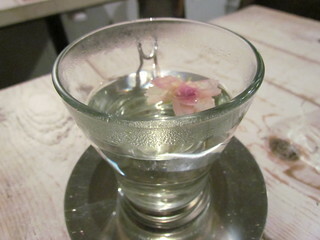 It started with some fancy tea, then there was a spring vegetable salad (served in a tall glass) and some soup. 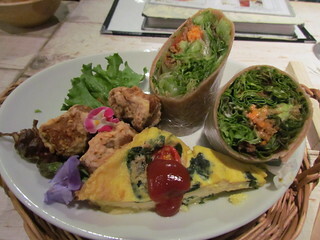 This was followed by a plate with a selection of offerings - wraps, quiche and nuggets. 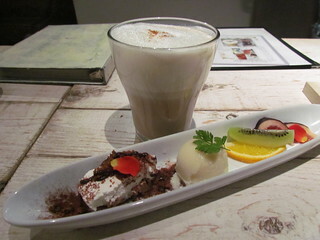 Then a dessert selection and chai to finish it off. It was a beautiful meal! 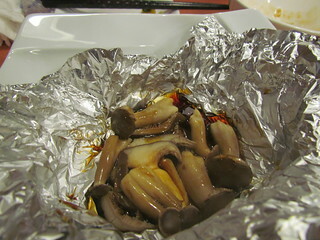 My mum ordered the Mushroom Hayashi Rice, which she enjoyed. Then it was back to the hotel. I really need to get a move on and finish blogging my Japan trip, so then I can blog last year's trip to the US! In exciting news, I will be leaving for the US again in three weeks time! So I will have even more travel posts to blog! 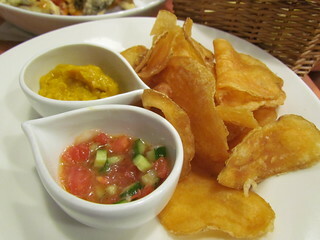 Considering this is not actually a travel blog, I promise I will eventually get back to cookbooks! But there is just so much wonderful food out there in the world that needs to be eaten! Thank you for your kind words and thoughts regarding Possum. It means so much to our family. 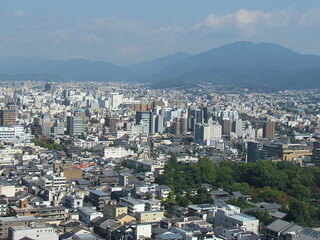 Our final day in Kyoto dawned, and I has a banana, some packaged sweet potato and some strawberry soy milk for breakfast before heading back to Toji to check out the monthly market. It was huge, full of lots and lots of stalls. If you see something you like there, buy it when you see it, because you will never find your way back to the stall! I am still so sad that I never found the kitty-themed stall again. 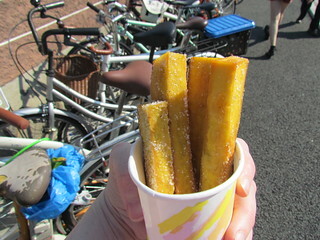 I picked up some fried sweet potato chips, thanks to my mum's help to discover what sort of oil they were using. I was expecting a salty snack, but they were actually coated in sugar. Which was OK, but strange. 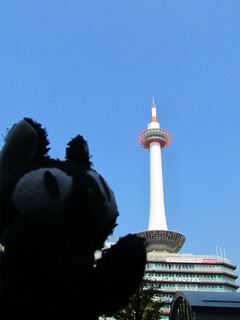 I stopped by Kyoto Tower for some panoramic views, which included a cheesy tourist photo that I seem to have misplaced, so sadly I cannot share that with you. But Francesca the travel cat will model the tower for you. 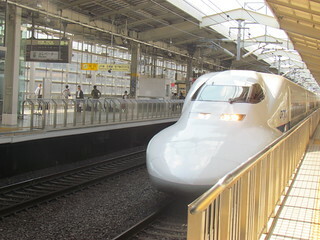 Then it was onto the famous Shinkansen (bullet train) to travel to Tokyo. Top tip - the bullet train is not very friendly to people who have huge suitcases, like me. But thankfully we managed to find a space for them! I had a stash of snacks for the trip. 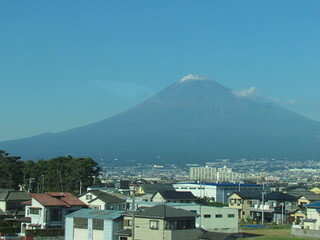 The highlight was passing Mt Fuji on a beautiful, clear day so we could see the famous peak. Our hotel was right next to Tokyo Station. We were both exhausted, so we ordered an early room service dinner. The hotel was super helpful with my vegan needs. 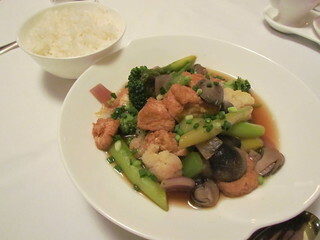 I had Wok-Seared Tofu and Spring Vegetables with Soy Sauce and rice, which may not sound too exciting but was like heaven. 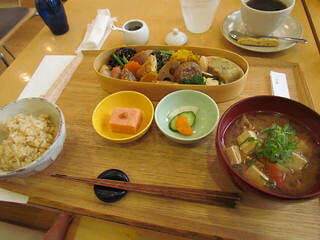 The next day, after a morning snack of rice bread, chive pate, fruit and chocolate soy milk, we headed on the subway to Omote Sando and took a walk around the shops. Best shop by far was Kiddy Land! Full of all your favourite characters, this is definitely not just for kids. 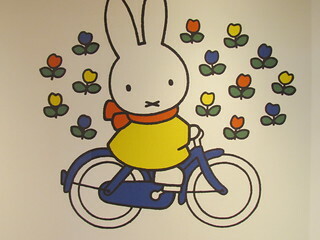 Miffy!! We met up with my mum's friend Miranda, who very kindly took us for lunch at Brown Rice Cafe. 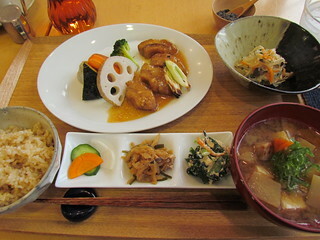 We ordered lunch sets, which you can see were full of so many delicious things. 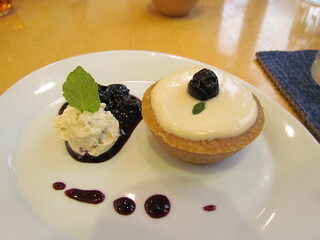 And I finished up with a sweet little Tofu Tart for dessert. Miranda walked us to the Tokyo store of Natural House, where I stocked up on some more essentials, including more rice bread, a mini-loaf of rye, pate and fruit. 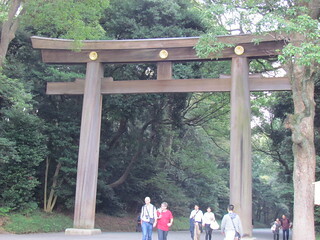 After saying goodbye to Miranda, mum and I walked down to Meiji Shrine and wandered around the shrine and the beautiful gardens, where there is a very famous well. 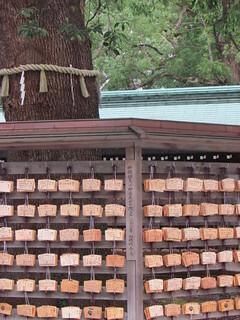 I also left left an 'ema', a small wooden wishing plaque on the tree there. We caught a train back to the hotel for a break, then headed out for dinner. 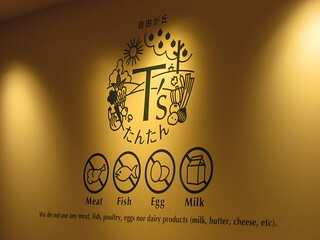 T's Tantan is a vegan ramen shop that is inside Tokyo Station. You need to buy a Platform Ticket to get there, but that is only 130 yen, plus there are heaps of really fun shops inside the station! But this trip was for eating. 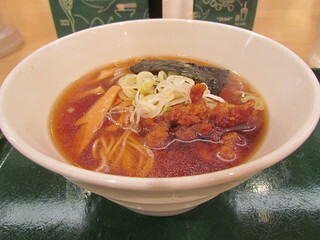 Mum ordered the Smile Curry, but I could not go past the Shoyu Ramen with Soy Meat (and a healthy dose of white peper). 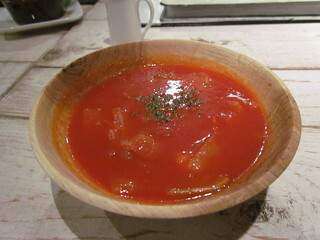 This was so good, so warming, so delicious. 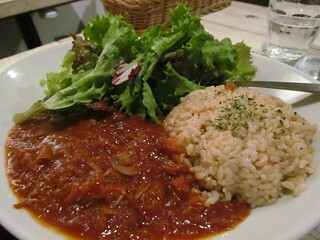 If you go there, order this! 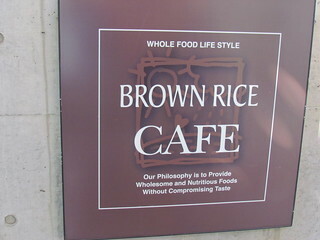 On the way back through the station we found Brown Rice Deli, a mini-version of Brown Rice Cafe that sells ready to go food. 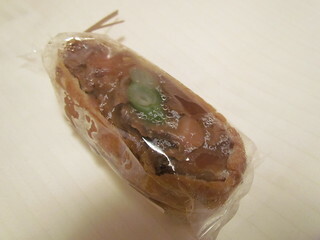 I picked up this inari for an after dinner snack. Then it was back to the hotel and fast asleep!